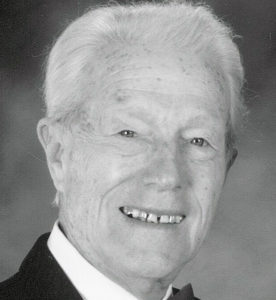 SMITH “Smitty”McLAIN, passed away January 18, 2019 at age 94. Following an active life of skating, world travel, Volksmarching, ballroom, line and folk dancing and performing, Smitty passed peacefully in the memory care unit at Queen Anne Manor—a gentleman till the last. Smitty overcame many obstacles in his life, such as attending 17 different schools, surviving advanced colon cancer and a bombed ship in WWII. 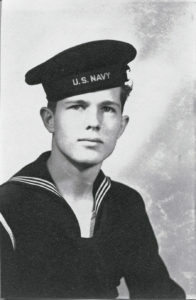 Smitty was a Quartermaster, serving in the US Navy from 1943-46 with an honorable discharge. He worked at the US Army Corps of Engineers, then Boeing , then again at the Corps from 1976 -1982. During that time he worked in Seattle, Germany and Saudi Arabia. Smitty is survived by former wives Patricia McLain and Betty McLain, children Ross, Smith and Shawn McLain, as well as step children, Linnai Redington, Michael and Marty Longe’, a sister Yvonne Leischner, numerous grandchildren, great grandchildren, nieces and nephews and many dance friends. A Celebration of Life is planned for Saturday, March 30, noon-1, and dance with the Bonnie Birch band, 1-3, Renton Senior Center, 211 Burnett Ave N., Renton. In lieu of flowers, please contribute to the charity of your choice. We wish to thank the compassionate caregivers at Queen Anne Manor and Hospice. What a great guy he was! Would that we should all leave such a mark on the world. I’ll always be grateful for his and your kindness to me when I was newly widowed, Betty. He was lucky, too, to have your partnership and advocacy in his life. My kindest regards and sincere sympathy to you and your family.